The importance of grip is well known since the mists of time. Man has always strived to create safer and more effective grips on tools and weapons, without neglecting to personalise them, sometimes embellished with precious materials. At last today, your motorcycle too can have something special: Malossi took care of it! A firm grip is never missing, palm and fingers grasp the grip to convey riding commands, sometimes gently, sometimes with great force, according to your temperament or to your mood, and the engine, producing a sound that is music to the ears of every rider that lives for the ride, responds to your input for performance and carries you into the wind. 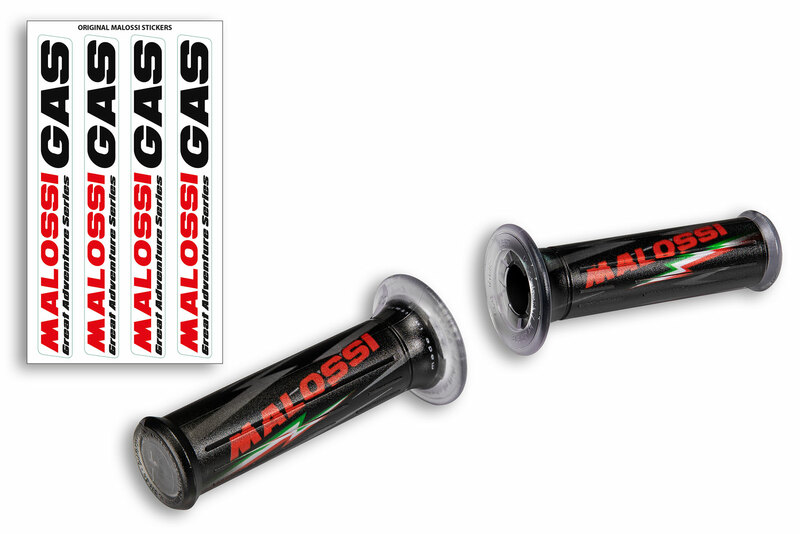 Malossi grips have no competition when concerning your motorcycle ride: they are safe, anatomically comfortable, indestructible, and stylish too, because the care for aesthetics has never been of secondary importance to us!